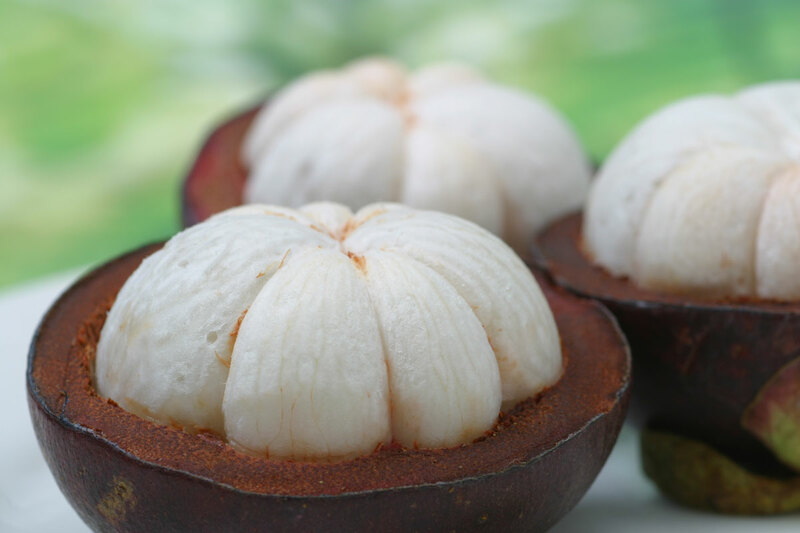 Mangosteen is a tropical evergreen tree originated in Indonesia. It´s considered a super fruit for its nutritional value . Rich in fibers and carbohydrates, high contents of vitamins A and C, as well as iron, calcium and potassium. It´s source of B- complex vitamins which help the body to metabolize carbohydrates, proteins and fats. • Xanthones reduce cholesterol levels and hardening of the arteries, as well as naturally combat cancer. • Blood flow – Promotes red blood cells and prevents against anemia. Improves the blood flow which helps protecting against atherosclerosis, high cholesterol, heart congestion and severe chest pain.